PayPal is an Internet-based payment service for individuals and business owners. PayPal allows its users to send and receive money in a variety of ways and for a variety of purposes. The features and options PayPal offers differ for business and personal account users. Users can also pay bills or send money to friends and family using money in their PayPal account or with either a debit or credit card that is linked to their account. PayPal offers users international money transfers, the option of receiving a PayPal credit card and online shopping through the PayPal store. Users can also open up a student account for their kids and budget and monitor the money that is put into the account. PayPal offers also offers the ability to accept credit cards through the eBay auction service. This gives buyers several options to pay for goods and services. PayPal Business gives its users the ability to accept credit card payments through a variety of means. The free option allows users to purchase goods and services provided they have a PayPal account. For $19.99 per month—as of 2010—consumers can buy products from a PayPal-enabled website without needing a PayPal account. 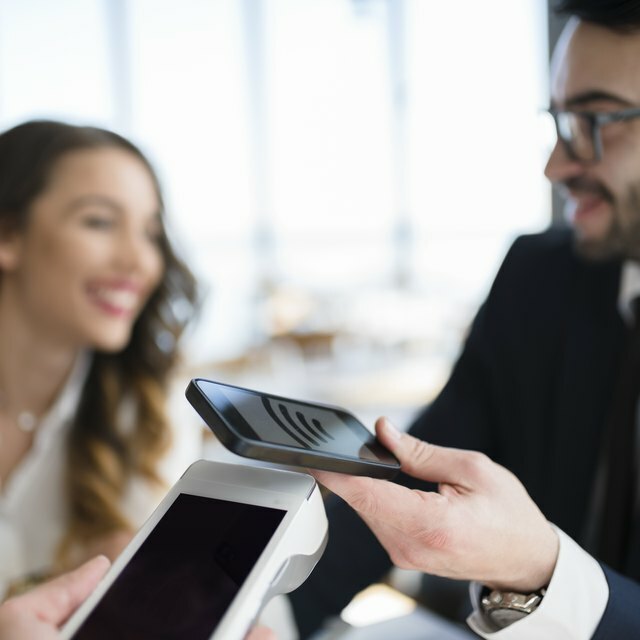 The Pro feature is an all-inclusive merchant account that allows consumers to purchase goods and services without having to exit to the PayPal website to complete the purchase. This service costs $30 per month—as of 2010—and can be linked with several different online shopping carts for consumers to complete their purchase. PayPal Business also allows customers to complete purchases over the phone or by emailing an invoice to PayPal. PayPal Business can be used to accept donations to a nonprofit organization, to collect money for educational needs or as a fundraising tool for governmental campaigns. Users should note that PayPal is not a bank and does not adhere to the rules and regulations that banks do. PayPal has the right to freeze a user’s account for any number of reasons. Also, there have been reports of difficulty reaching customer service for account problems. Based out of Orlando, Fla., Christopher Nuckolls has been writing for more than three years and regularly updates and maintains a satirical blog titled The Magical Mankini. With a degree in psychology from The University of Central Florida he splits his time between writing and training professional fighters.